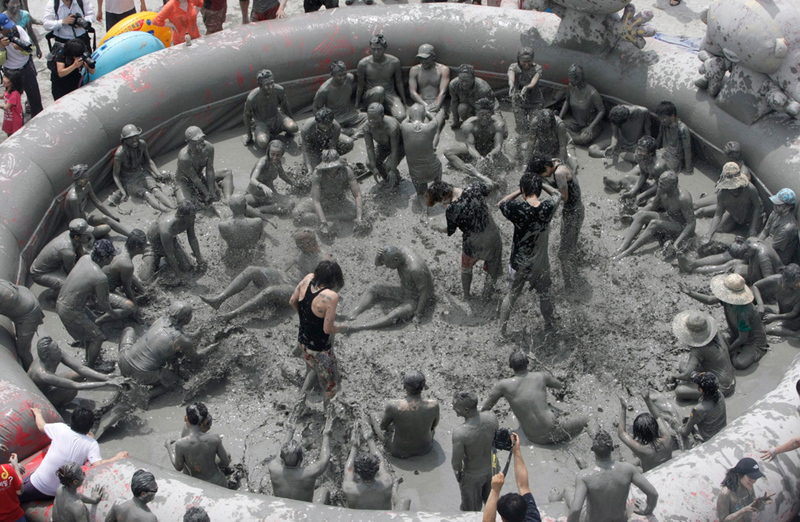 The 15th annual Boryeong Mud Festival kicks off at Daecheon beach in Boryeong, South Korea, about 190 km southwest of Seoul. 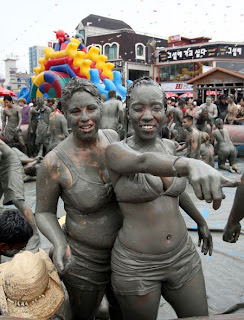 About 2 to 3 million domestic and international tourists visit the beach during the annual mud festival. 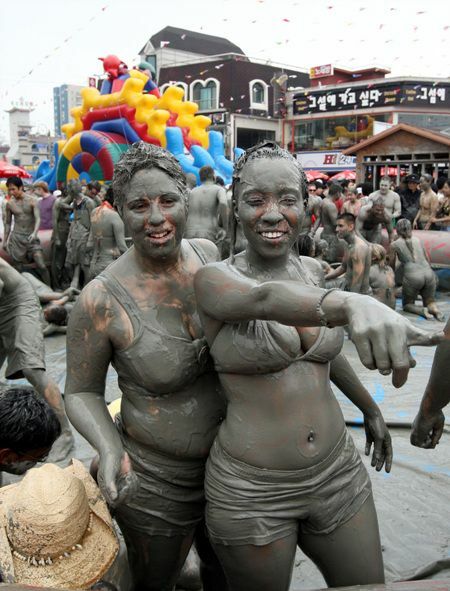 The city of Boryeong hosts the Daecheon Beach, famous for its beautifying mud, which is rich in minerals and used to manufacture cosmetics. 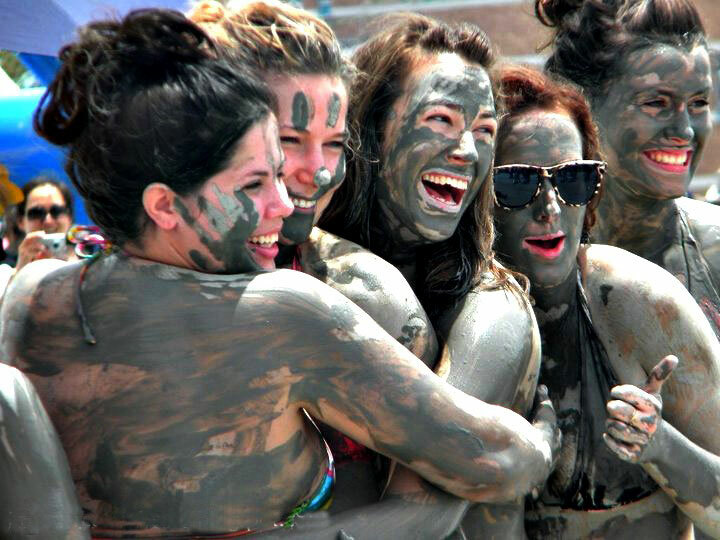 The mud, which is believed to have beneficial effects on the skin due to its mineral content, is sourced from mud flats near Boryeong and transported to the beach by truck. 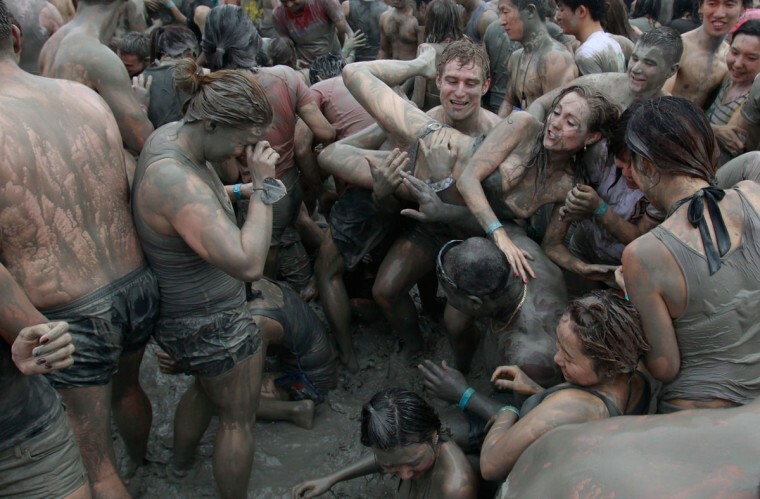 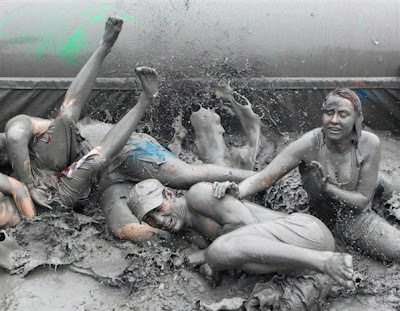 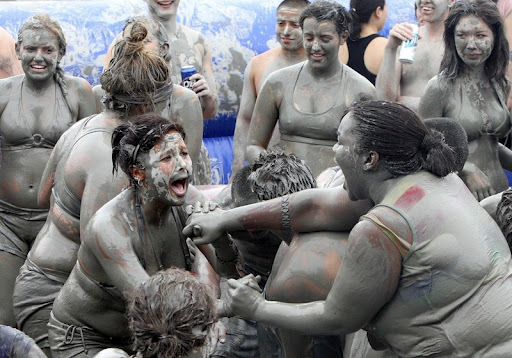 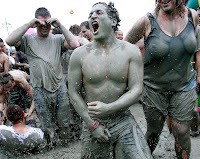 In order to promote these cosmetics, the festival attendees are allowed to have all the fun in pools of the rich mud. 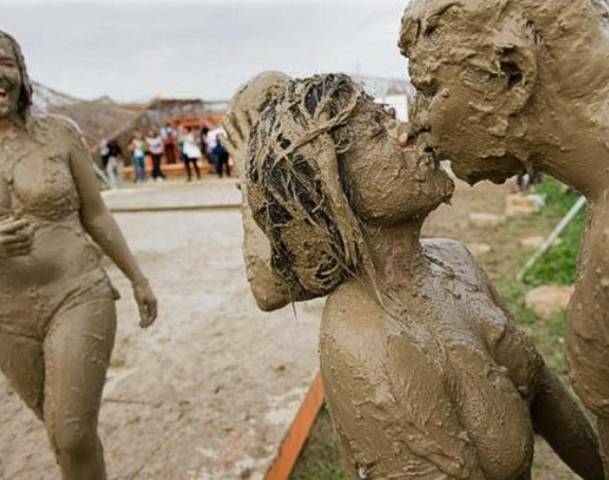 The mud is sourced from mud flats nearby. For the benefit of tourists, there are mud pools, mud prisons and mud skiing competitions. 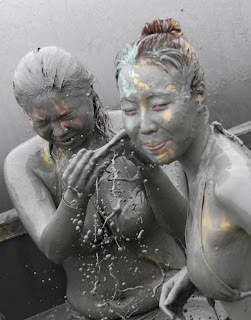 Body painting with beautifully-coloured mud is also promoted as part of the festival. 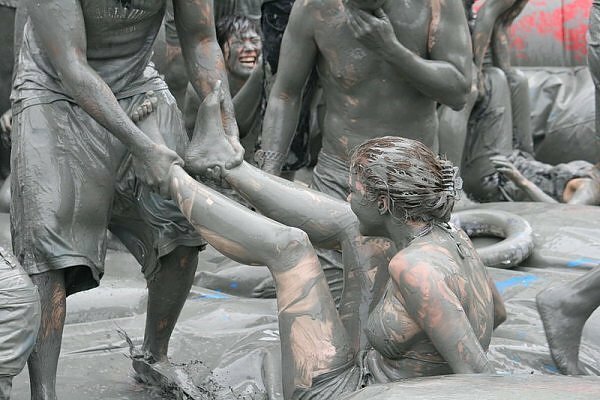 An estimated 2 million people from around the world converge on Boryong City, each of them ready to come clean and leave dirty.